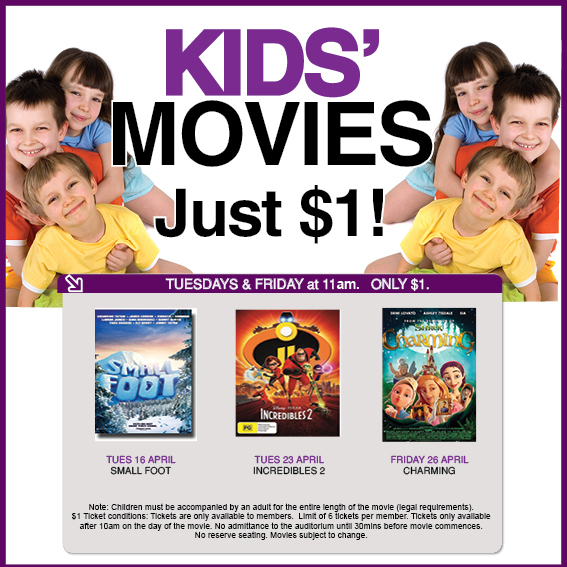 School holiday movies for children are ONLY $1 (current members only). Tickets can be obtained from club reception on the day of the movie. Doors open 30 minutes before the movie starts. Children must be accompanied at all times by a parent or guardian. Movies may start from 11.00 am or 1.00 pm (see Club journal). Movies may be subject to change.